Once you have your shiny new AR-15 (or two or three or…), it’s time to take it out and shoot it. While your rifle may have come with a magazine or two, you’ll likely want many more so you can load them up at home. The challenge with going magazine shopping is that there seem to be a hundred different varieties. Unlike handguns, where you pretty much are stuck with what your manufacturer makes…everyone seems to make AR magazines. It’s the strength and weakness of the AR platform. Everyone and their brother seems to make parts and accessories for it, and some of them are even good. So how can you tell which ones you should buy? What Makes a Magazine “Good”? Fortunately, for magazines, it’s not terribly difficult to identify a quality magazine. Most modern AR magazines are relatively decent, so long as they can pass a few straightforward tests. First, does the magazine look like it’s in decent shape? This may seem obvious, but a magazine that is dented or cracked is unlikely to work reliably. Make sure you check it all over, too. 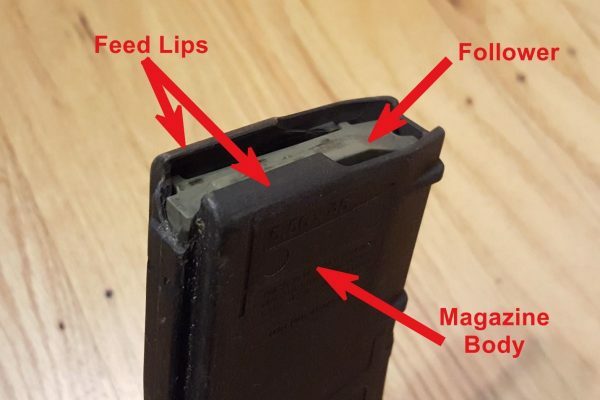 You don’t need to take the magazine apart, but look at the feed lips and follower in addition to the body of the magazine itself. They shouldn’t look bent or chipped. Then fill up the magazine with ammunition and tap the bottom of it sharply. You can slap with your hand or use a padded surface (guess which one hurts less? ), just don’t be shy about how hard you hit. Either way, you’re looking to see if rounds pop up and out of the magazine from the impact. If they do, your feed lips may be out of spec. Next, you’ll want to see if the magazine drops freely from your AR. That means you need to insert it into the gun, hold the gun up, hit the magazine release, and see if the magazine drops from your gun without assistance. 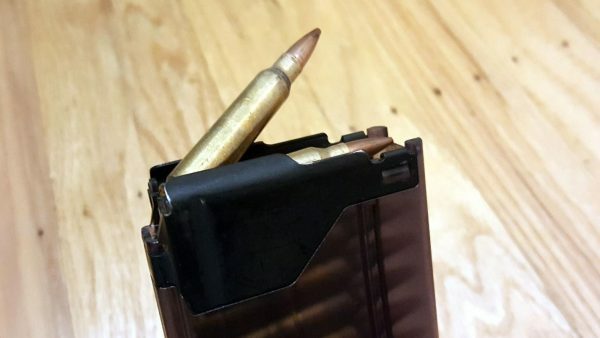 You should try this with both empty and full magazines, although full magazines should be reserved for the range or when facing a safe direction that can adequately contain a rifle round in case of an oops moment. If they don’t fall freely, then your magazine is out of spec. Your magazine should slide right out. Finally, you need to find out if your AR’s bolt will lock back on the empty magazine. The fun way to do this is to shoot until a magazine is empty, but all you really need to do is to drop the bolt on an empty chamber, insert an empty magazine, and pull back on the charging handle. You shouldn’t need to fumble with the bolt catch if the magazine is in good shape. 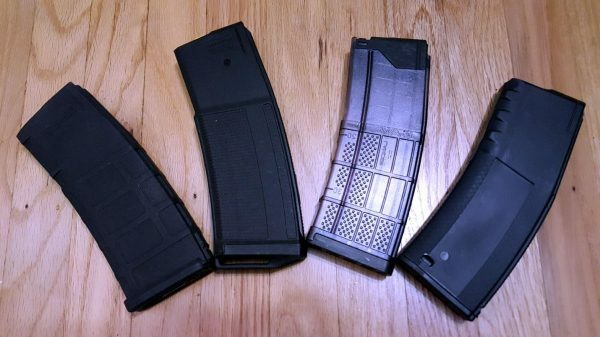 You can use these tests to see if individual magazines you already own are good to go, as well as to see if a new-to-you brand of magazine will work with your AR. I get it. Not everyone has the time, money, or inclination to perform their own testing. That’s why you’re reading this article. Fortunately, there are a number of excellent magazines on the market right now that you can be quite confident about running with your gun. Perhaps the most popular AR magazine on the market, with the most name recognition, is the Magpul PMAG. They’re reasonably-priced, easy to find, and generally quite reliable. 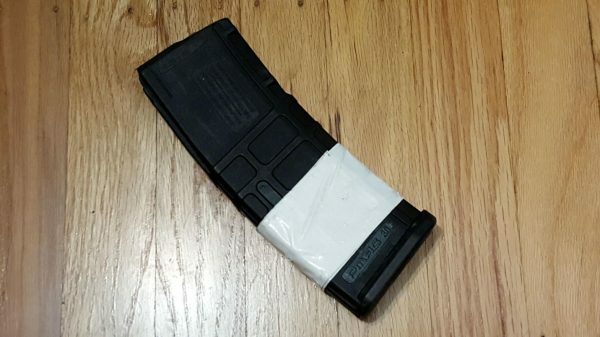 It’s difficult to go wrong picking up a pack of PMAGs, and that’s assuming you don’t already have a few floating around. 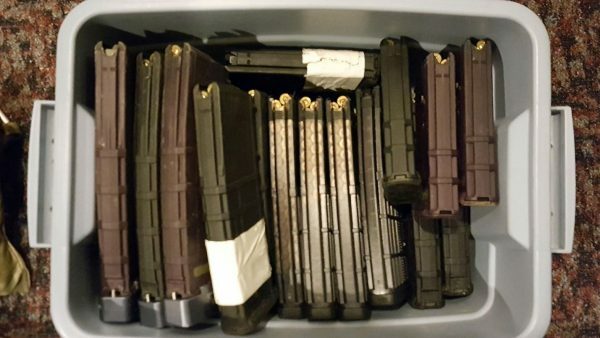 Where you might get confused is that there are a lot of different varieties of PMAGs out there these days. The most common is the standard 30-round magazines, which come in both a Gen M2 and a Gen M3 variety. The Gen M3 are the latest and greatest, and there’s no reason to go hunting for the Gen M2; Magpul has only bettered their design over the years. What’s your take on Magpul mags? Magpul also offers a 10, 20, and 40-round versions of the PMAG (not to mention a 100-round drum variation). The 10 and 20-rounders are especially useful for shooting from prone or other positions where a longer magazine might get in the way. Whatever size you get, you will also need to decide on whether you want a windowed PMAG. Having a window makes it a little easier to tell how many rounds are left in your magazine, although the counts aren’t perfect. Alternatively, you can get a translucent magazine that makes it possible to see all of the rounds that are inside. My pick there are the Lancer Systems Advanced Warfighter Magazines (AWMs). They’ll cost you about the same as a PMAG and aren’t hard to find. They’re about as boringly reliable as the PMAG. The AWMs come in 5, 10, 20, and 30-round varieties to match up to most standard uses for AR-type rifles. All of them come in clear or translucent shades so that you can see through almost the entire magazine, no matter what angle you’re looking from. It’s a little less finicky than looking through a small window and even allows you to count rounds individually without emptying the magazine. Lancer also did something else different with the AWM. 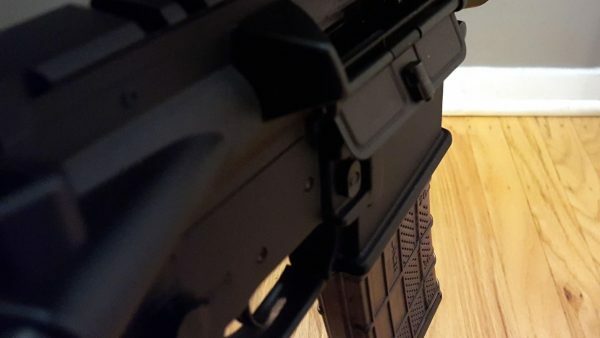 Instead of the magazine body being completely polymer like the PMAG, the AWM has steel feed lips attached to its polymer body. They’re considered more durable and harder to deform than polymer feed lips and, of course, it would take quite a bit more effort to chip them. If you don’t trust plastic at all, you can always go old-school with all-metal USGI-style magazines. Standard issue in the military for years, the biggest problem with them is that there are seemingly a million manufacturers and variations of these simple aluminum boxes. And not all of them are created equal. I recommend sticking with two: the Brownells house brand and the Surefeed magazines made by OKAY Industries. They both come in 10, 20, and 30-round varieties, although the Brownells 10-round magazines are the same length as their 20-round magazines. And they both consistently meet current military standards or better in construction and specifications. In fact, OKAY supplies the U.S. military with AR magazines now, and those are the same magazines sold under the Surefeed name. Metal magazines have the advantage of not only being quite durable, though this is less of a concern with modern polymers but also generally cheaper. While a few dollars each might not seem like big savings, it can add up as you buy more and more magazines. Why Do I Need More Mags? You always need more magazines, for every gun you own. It’s not just because having to stuff mags at the range can be a drag, or because of potential shifting political winds. They’re also a consumable resource, so they won’t last forever. You can keep them usable for longer if you follow a few basic guidelines though. Can’t have too many mags! Remember how I mentioned that magazines that look beat up probably won’t work well? The first rule of magazines is to not beat them up unnecessarily. If you’re shooting your AR in matches or classes or practicing dynamic shooting, you’re almost certain to drop them a time or four hundred. That’s fine. What you’re trying to avoid is intentionally stomping on them, drop-kicking them across the range, or dropping them for fun (especially on the feed lips!). Do that a few too many times, and you’re certain to start having magazines go out of spec. And don’t forget, you don’t need to immediately throw out magazines that fail the tests above, satisfying as it might be. However, you do need to make sure you take them out of the rotation for important uses like matches or home defense. 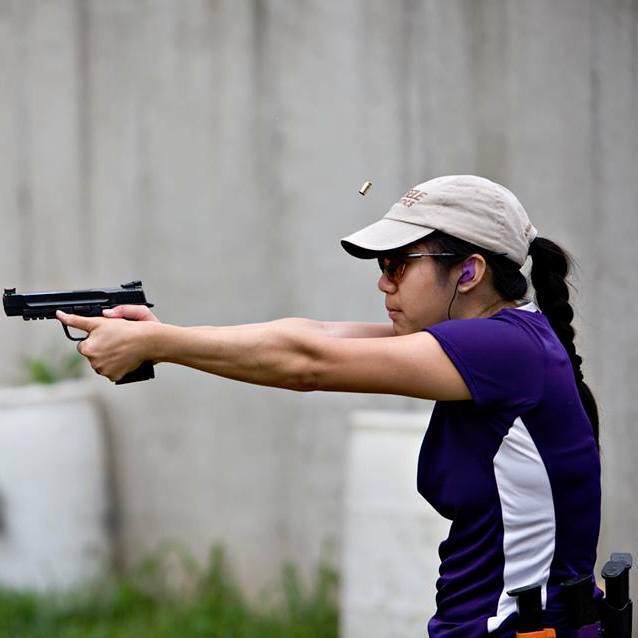 For practice or for plinking at the range, an occasional failure won’t be a problem, so you can keep those magazines a little longer. With all of those magazines, you might want to set some aside for a particular use. For example, in addition to mags designated for training only, I also have mags that are dedicated to different kinds of ammunition. That would be especially important for me if I had a rifle in .300 Blackout, which looks very similar to .223/5.56 but would be very dangerous to shoot out of a .223/5.56 rifle. If you’ve decided to do that, you’ll need a way to mark them so that you can keep track. An easy, low-cost and high visibility way to label your magazines is to wrap a strip of duct tape around the bottom. You just need to make sure it’s positioned to not get into the magazine well when it’s loaded into your rifle. A little fancier and more personalized option is to use a GunSkins wrap or similar product that’s basically like a giant, durable sticker for your magazine. 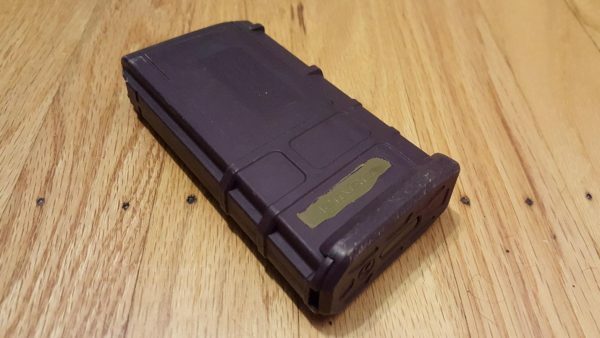 For PMAG owners, you can also dye lighter-colored mags with RIT fabric dye. It takes little effort and just a few minutes, and the results are permanent. Plus if you pick a bright or unusual color, nobody will mistake your mags for theirs at the range. Cosmetics aren’t the only thing you can change about magazines. You can also extend their capacity or make them a little easier to use in different types of environments. While you can always just buy the next bigger magazine of the brand you’ve chosen, sometimes you want just a few extra rounds available. You might also want a little extra room in your magazine so that it’s easier to seat a full magazine on a full chamber in your rifle. The answer to that is the basepad extension. It replaces the basepad on your magazine and, by making the whole thing a little longer, allows you to load a few extra rounds. My favorites are the ones from Taran Tactical Innovations. The downside is that they’re not available for all models of magazines. Another option is to attach two magazines together so that when one goes empty you can reload with the other one right there. While people have done this by taping mags together, you can also buy purpose-made couplers to do the job, like the one Lancer Systems makes for their own magazines. While you’re adding things to your magazines, extra capacity isn’t the only end game. With modern magazines and ARs, using your mag as a sort of monopod won’t cause malfunctions. It’s so common and trouble-free now that you can even update your baseplate to make the magazine a more stable platform to balance on. One example is the Magpul Ranger Plate. It not only gives you a more forgiving surface with better angles to support the gun, it also acts as a pull tab. What’s a pull-tab? 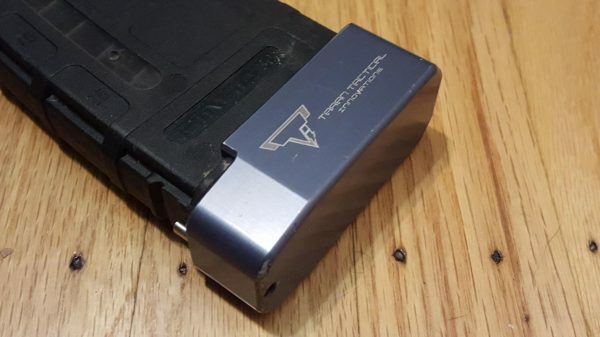 Even though your mags should drop free when they’re functioning correctly, you might run into a little trouble if there’s a malfunction of some type – perhaps a magazine that failed unexpectedly or a double-feed. In those cases, getting a little extra leverage to pull the magazine out can be helpful, and that’s where pull-tabs come in. They replace or attach to your baseplate and give you a little extra to grab onto. Magazines seem like they should be a simple purchase. After all, they don’t need to do anything more than hold ammunition and feed it to the gun. It’s a vital function, though, and a bad magazine will make even the best rifle nothing more than an awkward club. Stick with mags like those described above, and you’ll have a much better day at the range. Check out more of our favorite gun and gear recommendations in Editor’s Picks. Great article for a newcomer to the AR platform. Thank You! Do you have any experience with the Amend2 magazines? My local sporting goods store had them on sale for $6.99 on Black Friday, so I picked up a couple. I’ve read good things about them, but haven’t shot them yet. I’ve heard of them…but haven’t tried them out yet. I’ll report back once I try them out! There is no such thing as a 100 round Magpul drum, only 60 rounds in the D60. Just wondering… is it ok to store ammo in a magazine so it is ready to go? Will this damage the magazine or spring inside in some way where it wont work properly? Thanks! I’ve been told that with today’s spring tech…it’s the loading and unloading that stresses it and not necessarily keeping it loaded. However…I rotate my home-defense guns’ magazines every 6-months. I asked that very ? @, I think, thefiringline maybe 3 yrs ago. Their reply: Engineers claim through testing storing a spring either relaxed or under tension has NO affect on its longevity. Use (tensioning & relaxing) is what destroys a spring. After so many reps it fails. Great article. Went shooting today with some ‘good deal’ old school metal at mags I got some where. One round, check–next round no feed. Uggggg. Ran to town and bought a new Mag pull 10 round. Hope this fixes it..thanks!! Thanks! Hope that fixes the problem.